LS Division 1 Balsa team finished in 1st place and will compete at World Finals next month. 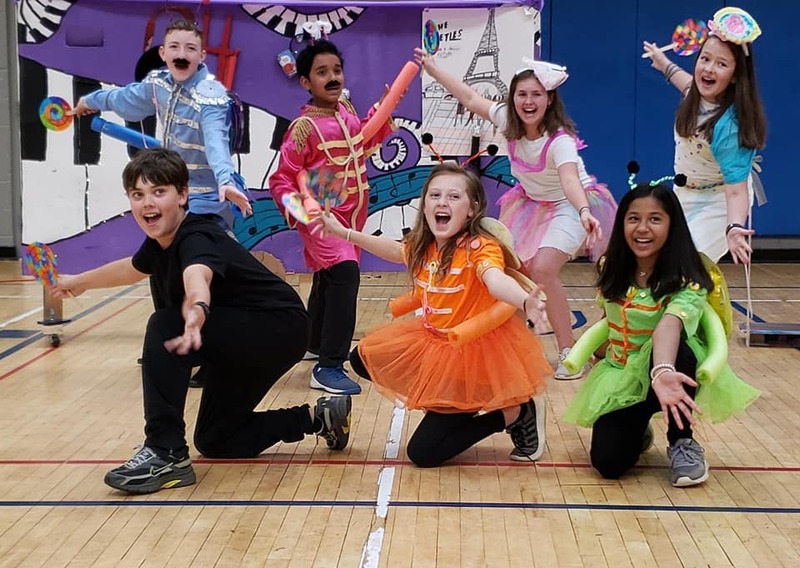 Congratulations to all three of our Odyssey of the Mind teams! They competed in the state finals on Saturday in Columbus. 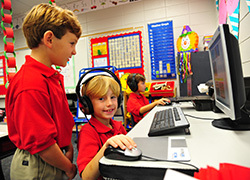 The Lower School Problem 2 Hide in Plain Sight team won the long-term solution and came in third in the state of Georgia! The Middle School technical team, Hide in Plain Sight, came in fifth in the state of Georgia! The Lower School Division 1 Balsa team finished 1st in the state in the problem called Structure Toss and will compete in the World Finals at Michigan State University next month! Congratulations to the Varsity Girls Swim Team for winning State for the 4th consecutive year. 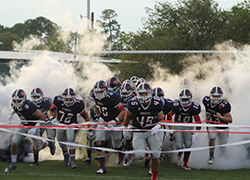 The following team members earned points. Gracie Swan and Blake Stafford have been named Commended Students in the 2018 National Merit Scholarship Program. Geoffrey Sudderth, Head of School for Deerfield-Windsor recently announced that Gracie Swan and Blake Stafford, DWS seniors, have been named Commended Students in the 2018 National Merit Scholarship Program. Gracie is the daughter of Mandy and Lawson Swan and Blake is son to Lorrie and Brad Stafford. "The young men and women being named Commended Students have demonstrated outstanding potential for academic success," commented a spokesperson for NMSC. "These students represent a valuable national resource; recognizing their accomplishments, as well as the key role their schools play in their academic development, is vital to the advancement of educational excellence in our nation. We hope that this recognition will help broaden their educational opportunities and encourage them as they continue their pursuit of academic success." Michael Michas earns Best Actor award. Congratulations to the cast and crew and director Lindsey Stewart of the One Act Play for winning region on Tuesday, Nov. 7. Michael Michas won Best Actor! Now on to State on Thursday, Nov. 15! Haley Walden was crowned Miss DWS 2018. The first runner-up was Gracen Carden and the second runner-up was Jilian Hanna. Sophomore Haley Walden was crowned Miss DWS 2018. The first runner-up was Gracen Carden and the second runner-up was Jilian Hanna. Gracen was also the winner of the talent award. Miss Congeniality, an award voted on by the contestants, was Jilian Hanna. Miss DWS 2017 Olivia Bell crowned the winner. 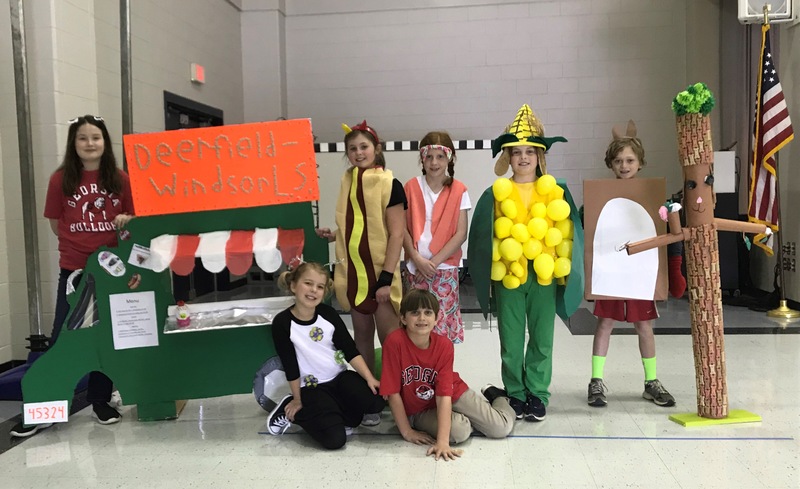 Other contestants were Annalise Allen, AnnaMarie Armstrong, Sydney Kate Daughtry, Katy Goodpasture, Rebecca Hughes, Jamia Lofton, Justi Neal, Abby Sellers, Rebekah Takash, and Kate Walsh. 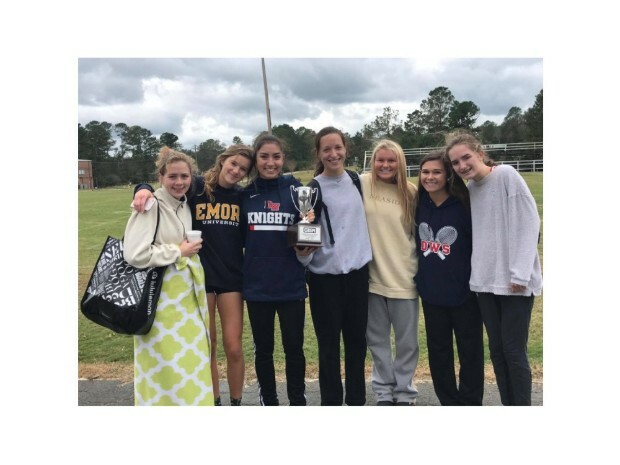 The boys and girls cross country teams ended their seasons in Americus on Saturday morning, bringing to a close the most successful season in program history. The Deerfield-Windsor boys and girls cross country teams ended their seasons in Americus on Saturday morning, bringing to a close the most successful season in program history. 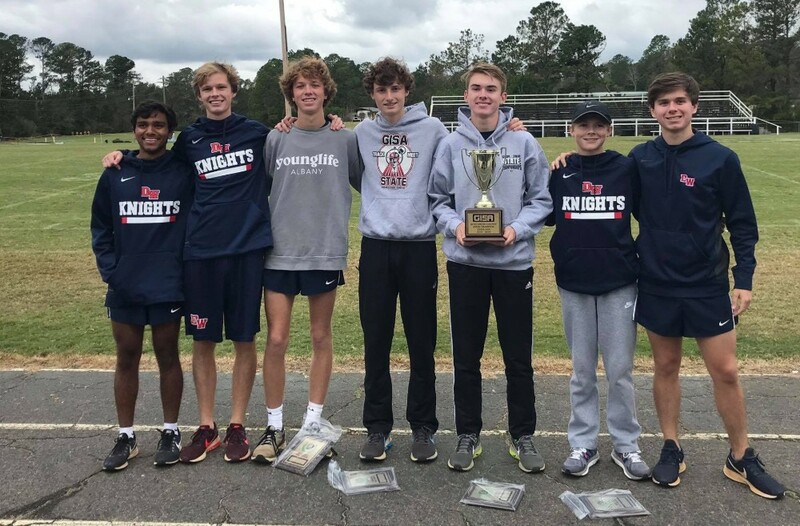 The boys captured their second GISA championship in the past three years, while the Lady Knights finished in second place, garnering their first podium finish since they captured the 2015 state championship. This was the highest combined finish in school history and the first time that both teams reached the podium in the same year. The Region 3AAA champion Lady Knights took the course first and sought to improve on two straight 3rd place finishes at the state meet. 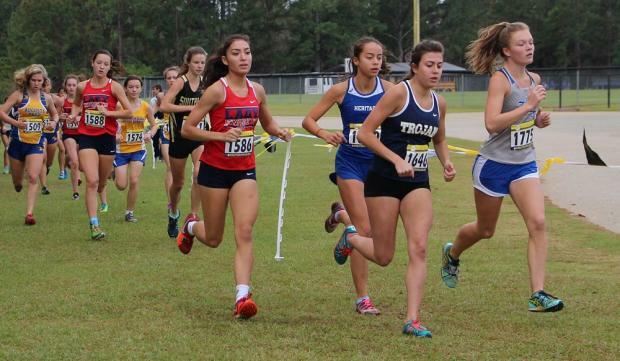 Led by individual runner-up Charlotte Augenstein(19:34) and fellow all-state performer Hadley Holt, the Deerfield girls were able finish as runners-up to a strong Augusta Prep team. Other scorers included Bailey Irvin(29th), Sarah Katherine Harris(30th), and Cece Lukes(35th). The young Lady Knights return all seven of their varsity athletes in 2019. The boys' race was a duel between the Knights and 2017 champion Augusta Prep. Junior Porter Hill set the tone for the Knights, seizing the lead from the start and running unchallenged to win comfortably with a time of 16:54. Hill's victory was the first boys' individual title in program history. 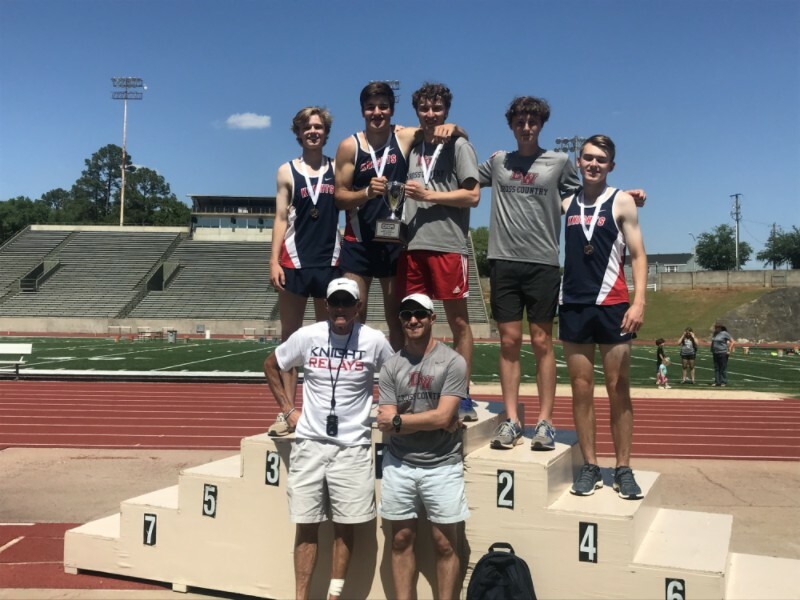 Once Hill broke the tape, the team battle between the last two teams to win GISA titles began to unfold, with 12 of the first 16 finishers representing either Deerfield or Augusta Prep. 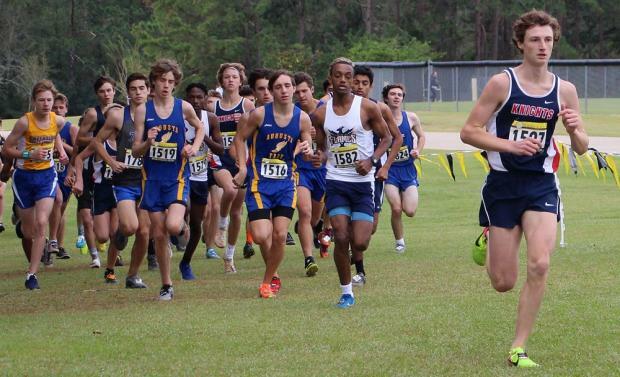 The Knights, however, placed four athletes in the top 10, including Graham Ford(6th), Jonathan Willis(7th), and Jon Durham(9th), en route to posting a team score of 38 points, besting Augusta Prep by a single point. The Knights' top five averaged 17:32, the fastest team average in school history. Head Coach Jake Clawson expressed his satisfaction with the direction of the program and the continued support that it receives from the community. "We've become the standard of excellence for distance running in South Georgia. This has been the longest period of sustained success that our cross country program has ever had. That wouldn't be possible without, first, the dedication of our athletes, but also the collective support of our team parents, the school's administration, our student body, and the larger Albany community." Catherine Peacock crowned 2018 Homecoming Queen. The 2018 Homecoming Court was presented at halftime of Friday night's game. The representatives included Seniors AnnaMarie Armstrong, Carlton Grubb, Catherine Peacock, Junior Charlotte Augenstein, Sophomore Bella Belusko and Freshman Abby Sellers. Catherine Peacock was crowned Homecoming Queen. Deerfield-Windsor School was invited to participate in the annual Kipp-Lovett-Westminster College Fair in Atlanta. 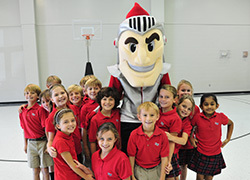 An invitation only event, Deerfield-Windsor was the only participating school in South Georgia (south of Columbus). With over 275 colleges from all over the country, students had the opportunity to have one-on-one conversations with admissions officers. "There are so many advantages to going to this college fair. By having the opportunity to speak directly to the admissions team, I was able to get information I would never have gleaned from a website," explains Upper School junior, Yash Jani. Students had the day to approach the colleges that peeked their interest. 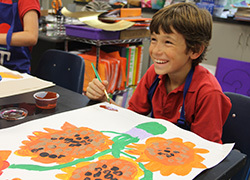 Students were enthusiastic about their unexpected personal experiences. "I walked away from the experience very surprised. I made visits to the colleges I was "certain" were for me. But to my surprise, it was my conversations with the schools that I did not think were for me that I will now pursue!" says Upper School senior Lewis Smith. When asked what this experience allowed him to accomplish for his college search, Upper School senior Alfred Woodard explained, "As a senior, I already know where I will be applying so I had the opportunity to go directly to my college tables and have a conversation directly with the admission officer to understand all the things I need to include and highlight in my application. It gave me an advantage I would not have had if I had not attended." Of the over 275 colleges available, the sizes varied from large to small. 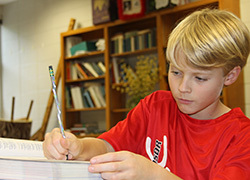 When asked to explain the advantages of talking to smaller colleges, Upper School junior Porter Hill says, "by speaking with smaller colleges, we were able to approach those tables and complete impression cards. By doing this, and talking personally with them, it will give me advantage over those who did not have the conversation when the time comes for me to apply." Thank you to the Parents Association for a wonderful evening of food and fellowship with our Back to School Cookout. 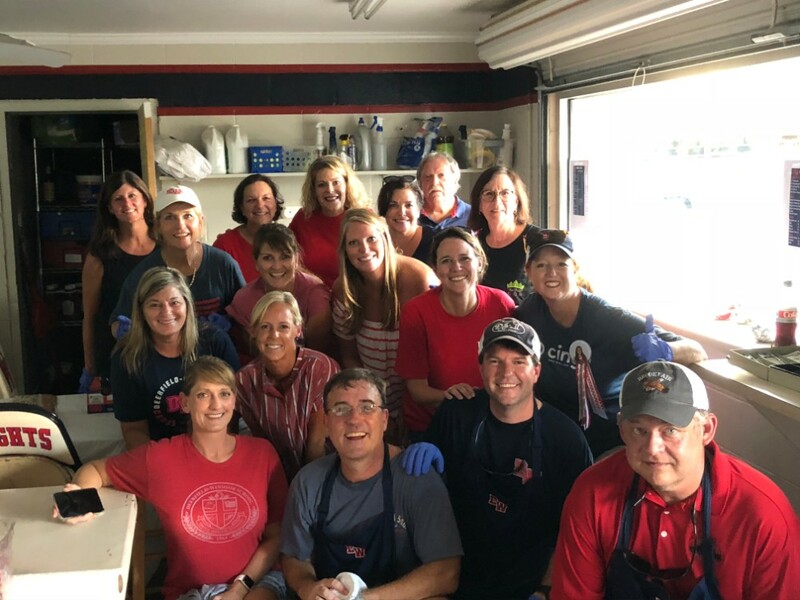 We appreciate the support from our staff for serving the food, the many parents who helped set up for the evening and cleanup after the event, our students who entertained us with their musical talents and to the cheerleaders and danceline who performed. Congrats to the football team on their win against Westfield. It's great to be a Deerfield-Windsor Knight!! With a sense of adventure, facing the next phase of their lives, the Deerfield-Windsor School Class of 2018 celebrated the end of their high school years in the traditional graduation ceremony on May 20 in the W. T. Henry Gymnasium. With a mixture of anticipation and anxiety, the 61 graduates marched through the doors of DWS for the last time as students. Presenting the invocation, Evan Campbell encouraged his classmates that as they reflect on their high school years, they should "recall the times with friends, the funny stories, and exciting events with a warm smile." Salutatorian Olivia Bell focused her speech on "Thank You Letters" realizing that although she can never thank each and every person the way she wants to, she is "grateful for the opportunity." Valedictorian Aaroh Patel roused a standing ovation of his classmates and all in attendance as he carried everyone through the journey of his life at Deerfield Windsor School, explaining with great emotion and compassionate recollection, the value of each one of his classmates and the impact they had shaping him into the person he is today. ~ Outstanding Academic Achievement Awards – Zoe Hopson, Hana Ghiathi, Aaroh Patel, Bittu Patel, Olivia Bell, and Jonathan Herrbold. Giving the Faculty Challenge to the Class of 2018 was Mrs. Debbie Allen, introduced by Zoe Hopson who fondly referred to Mrs. Allen as her "favorite drama queen" who gives her students a "glimpse of this world through literature on her stage." Addressing the graduates, Mrs. Allen reminded the graduates that "mistakes and failure are part of the human experience" and encouraged them to "show the world your true colors, your unique personality, your individual talents and skills." With Allen's words lingering and the anticipation of beginning a new adventure, Brynn Sammons closed the ceremony with his benediction praying for "success, prosperity, and joyful times" for his classmates as they leave Deerfield Windsor School, a place he will remember for "learning, friendship, and development." Congratulations to the Baseball C-Team for being Middle School Region Champs. Their record for the season was 14-2-1. Go Knights! Congrats to the DWS Track Teams for their stellar performances in state! The girls won their fifth straight state title. Hadley Holt was the state high point winner - winning triple jump, 300 hurdles, and state runner up in long jump. She was also on both state champion relay teams. Camryn Bridges was second in the state in high points - winning all three of her individuals (3200, 1600, 800) and as the anchor leg on the 4x400m relay team. Charlotte Augenstein was fourth in high points in the state - state runner up in 400m, triple jump, and 800m. She was also on both state champion relay teams. The girls scored the highest number of points in school history in the state meet with 138. The boys finished as state runners up. Garrett Jones ranked fifth in overall high points in the GISA. He won the 100m and 200m dash. Jackson Tennyson was state champion in pole vault. John Collier Logan was state runner up in both discus and shot put. 2018 Academic Signing Day celebrated three amazing young ladies and their combined $355,000 worth of academic scholarships. To participate in this event, students had to be awarded $20,000 or more to the school they are choosing to attend. Julia Grundfast received the Presidential & Legacy Scholarship to St. Joseph's University in Philadelphia, Pennsylvania. Zoe Hopson is the recipient of the $20,000 Coca-Cola Scholar Program and will attend Yale University in New Haven, Connecticut. Olivia Bell is our school's first recipient of the Morehead-Cain Scholarship of $250,000 to University of North Carolina in Chapel Hill. Congrats to the MS Golf Team! Coach McSwain, "This group has tremendous potential. I'm proud of the time and effort they have put into improving their game." Playing 5 regular season matches, they won 3 of them and placed 2nd in the other two. They finished 2nd in the Region Tournament. Boles Middleton was the low medalist in the region tournament and Blake Broadaway was third in region golf match. Congratulations to these students for a great season! 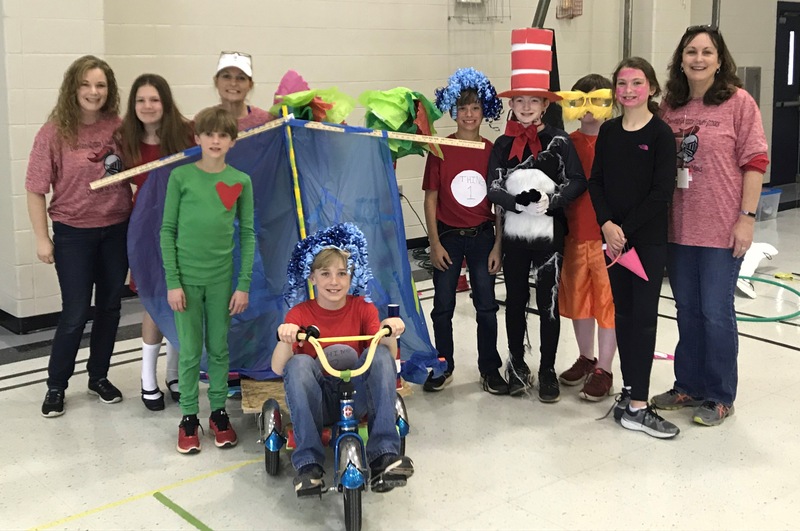 Odyssey of the Mind teaches students to learn creative problem-solving methods while having fun in the process. OotM teaches students how to think creatively and divergently by providing open-ended problems that appeal to a wide range of interests. Deerfield-Windsor currently has two OotM teams composed of 3rd, 4th and 5th graders. These teams competed in the vehicle and balsa problems at the regional tournament in Hawkinsville, GA today. Congratulations to both teams for winning first place! They advance to state finals in Columbus, GA on April 7. 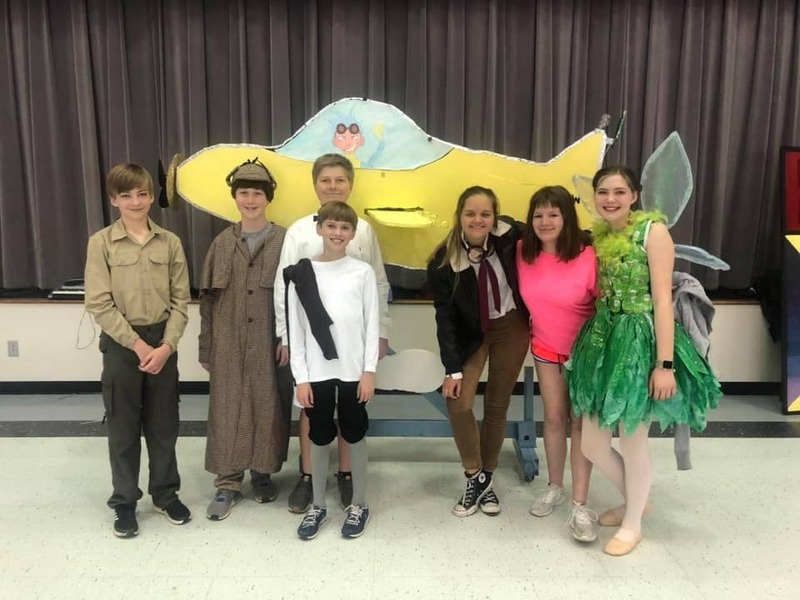 The balsa team members are Caughey Culpepper, Cat Darden, Blaine Ellion, Macy Hatcher, Brooklyn Ivy, Zachary Martin, and Biz Parrish. The vehicle team members are Chapel Coley, Ben Everett, Kendal Massie, Brantley Michlig, Ethan Newsome, Bess Pennington, and Abby Taylor. Coaches are Beth Collier, Kathy Meskell, Erica Massie & Karen Stiller.